Sampling wine in a clinical setting like a wine tasting and then in a social setting like a dinner or party is quite different. 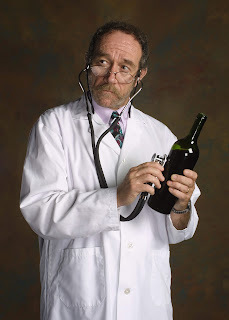 Clinical tasting focuses strictly on the wine without the benefit of extraneous stimuli to play off it. The wine is literally dissected for appearance, smell and taste much like an autopsy in a sterile environment. Social appreciation usually involves food, friends, conversation and a relaxed atmosphere so the wine is interwoven into a hedonistic, enjoyable experience. Often, wine that doesn’t show that well in clinical evaluation comes across far better in a social setting. That’s because wine and food are a marriage made in heaven and together, stimulate social interaction and fun.